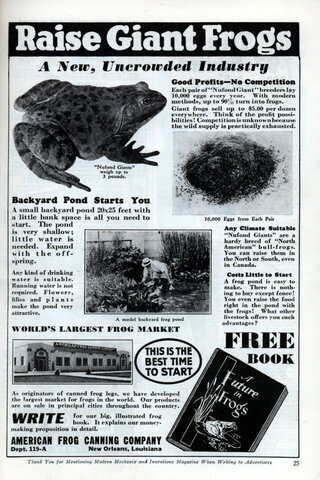 A back yard is large enough to start the thriving business of frog raising. 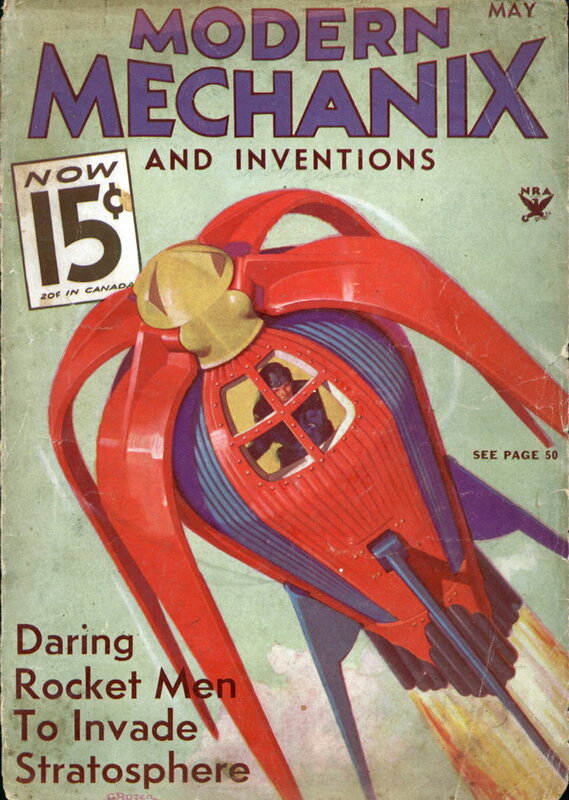 How to build up a big income with a very small investment is told in the following article. The white meat, with a taste similar to a tender, juicy squab, is greatly in demand. 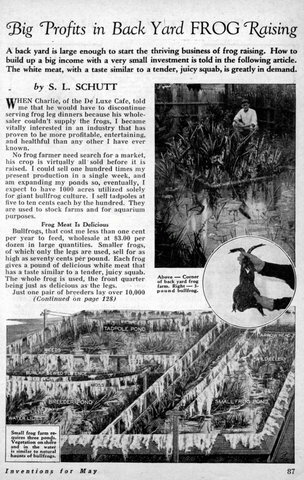 WHEN Charlie, of the De Luxe Cafe, told me that he would have to discontinue serving frog leg dinners because his wholesaler couldn’t supply the frogs, I became vitally interested in an industry that has proven to be more profitable, entertaining, and healthful than any other I have ever known. 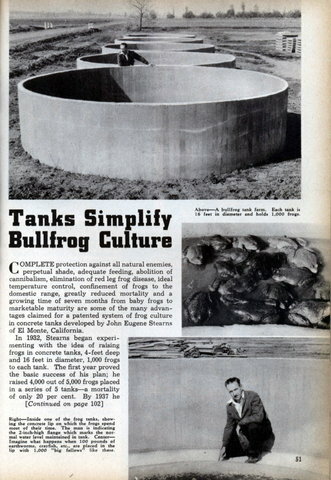 cannibalism, elimination of red leg frog disease, ideal temperature control, confinement of frogs to the domestic range, greatly reduced mortality and a growing time of seven months from baby frogs to marketable maturity are some of the many advantages claimed for a patented system of frog culture in concrete tanks developed by John Eugene Stearns of El Monte, California. 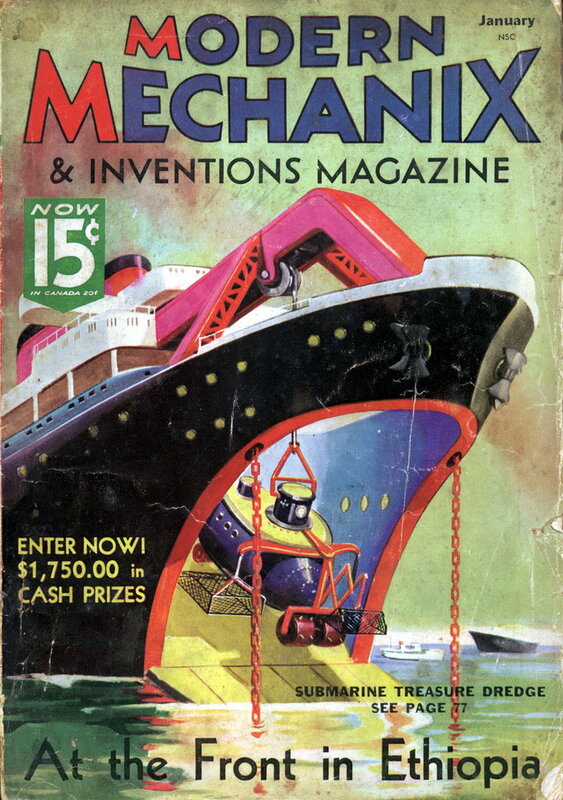 Friday Animals for Profit blogging, teaching you how to turn frogs into cold, hard cash! Update: Bryans Basement also has a similar ad, I see we share a love of animals for profit blogging. Each pair of “Nufond Giant” breeders lay 10,000 eggs every year. 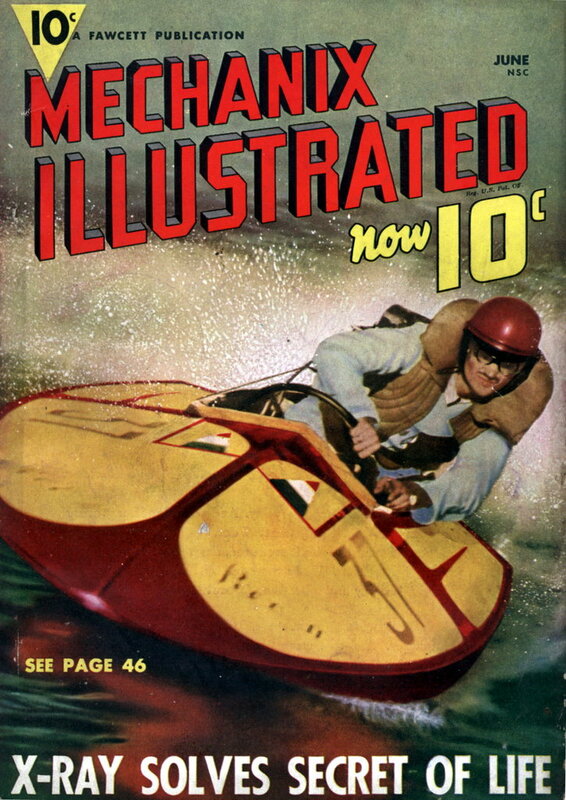 With modern methods, up to 90% turn into frogs. 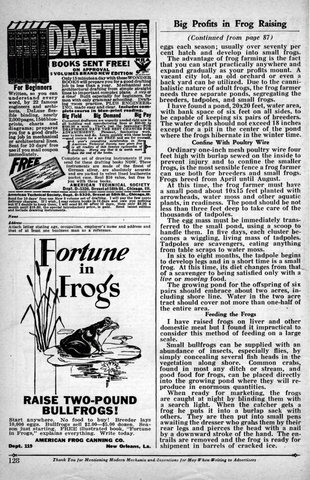 Giant frogs sell up to $5.00 per dozen everywhere. Think of the profit possibilities! Competition is unknown because the wild supply is practically exhausted.